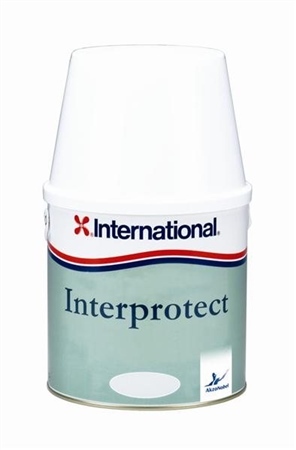 Interprotect from International Paint is a quick drying, simple application epoxy primer for high performance protection on steel, aluminium and wood. It has excellent anti-corrosive properties and works as an antifouling tie-coat for use over epoxy primers. Interprotect provides good abrasion resistance and has a matt finish. For use above or below the waterline.